Evelyn Dunstan works from her home studio in Auckland, New Zealand. Coming from an arts background, Evelyn found her niche with lost-wax kiln casting in 2003, and has since explored the qualities of locally made crystal from Gaffer Coloured Glass. Modifying materials, techniques and methods, has allowed her to cast fine detail and control colour placement, taking advantage of the creative freedom for conceptual vision and innovation that the lost wax process encourages. A passion for her surrounding environment with a strong focus on ecological concerns influence a methodology throughout the work and making process, with the challenge of what is physically possible working solo in the small glass casting studio. Using a language that speaks of our connections, visualised through the characteristics of flora and fauna, her focus continues to be in developing the ideas that also encompass researching methods and experimenting with techniques further. 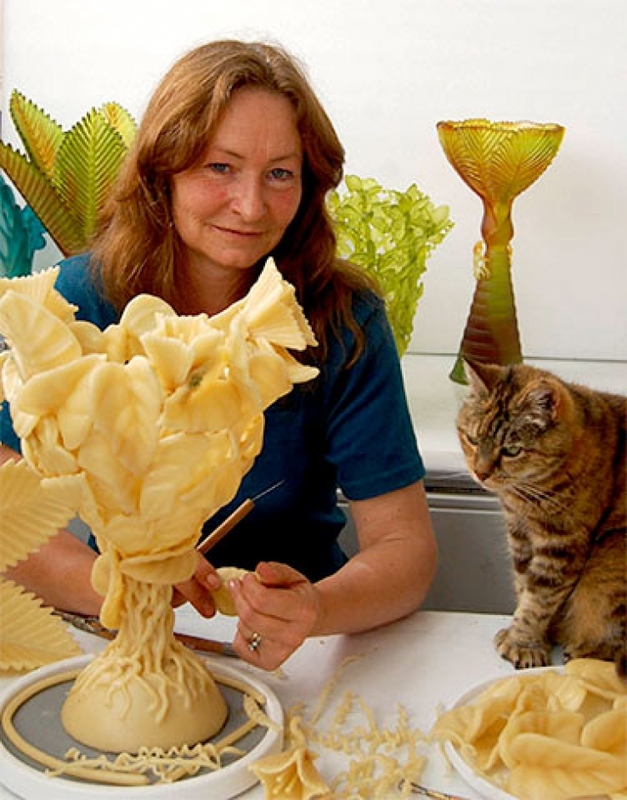 Her work is displayed in exhibitions, public and private collections around the world and she passes on her unique approach to the lost-wax process teaching in New Zealand, Australia, USA, Turkey and Italy. Copyright 2017 © Evelyn Dunstan - All Rights Reserved.